Hi friends! It’s Stef from Girl. Inspired. here today. Cake decorating can involve the most difficult, intricate detailing, but it can also be as simple as tossing edible confetti on to a cake. 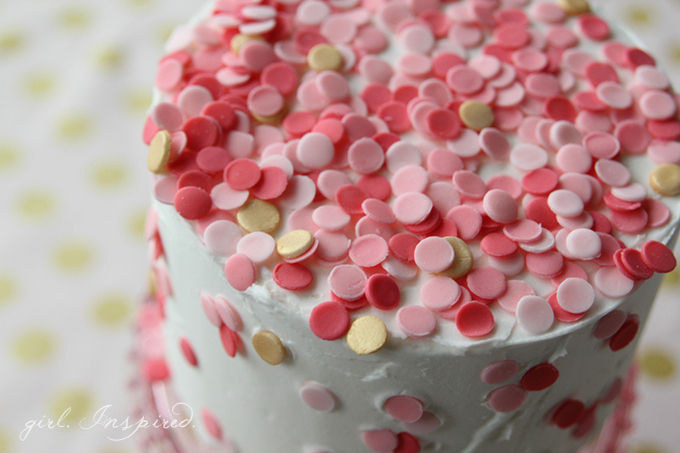 For this Valentine’s Day inspired cake, I used fondant to make my own sprinkles in various shades of pink. 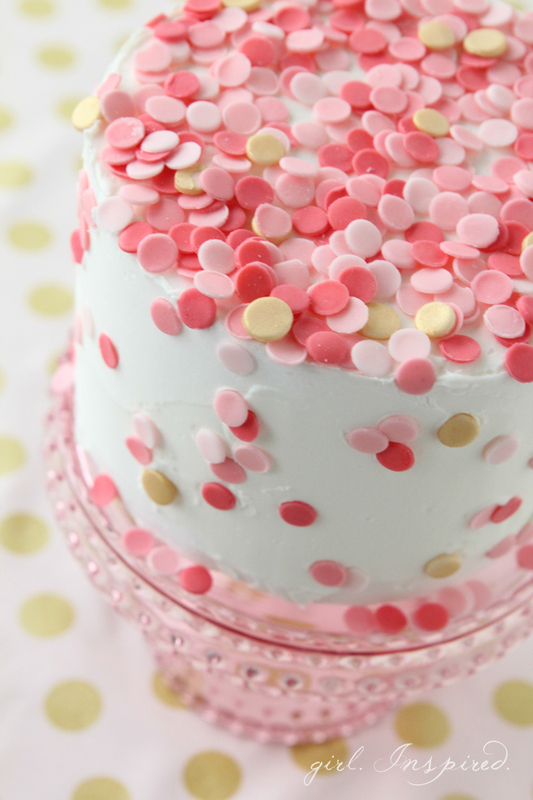 After a quick layer of frosting over my cake, the decorating couldn’t be easier – just toss a few handfuls of sprinkles over the top and you have such a fun, pretty treat! 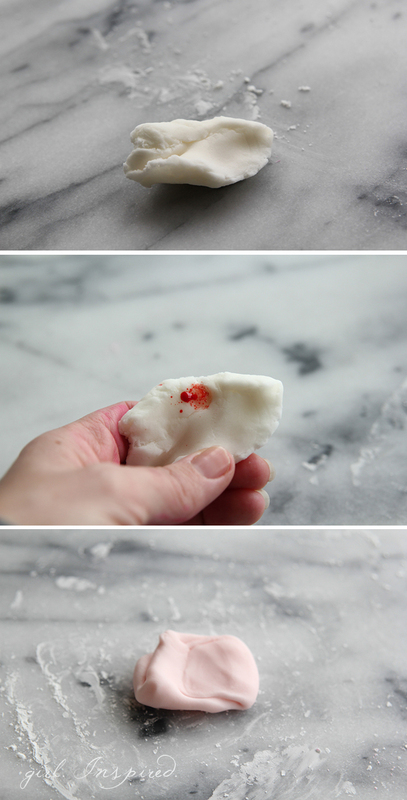 Step 1: Begin by tearing off a small piece of the fondant and kneading it between your fingers to get it soft and pliable. Add a very small dot of gel paste food coloring to the fondant and continue working it between your fingers until the color is evenly distributed throughout the fondant. You can use latex gloves if you want to keep your fingers clean of food coloring! You will want this first piece of fondant to be the lightest shade desired. Step 2: Sprinkle some cornstarch over your work surface and roll the fondant into a very thin, even layer. 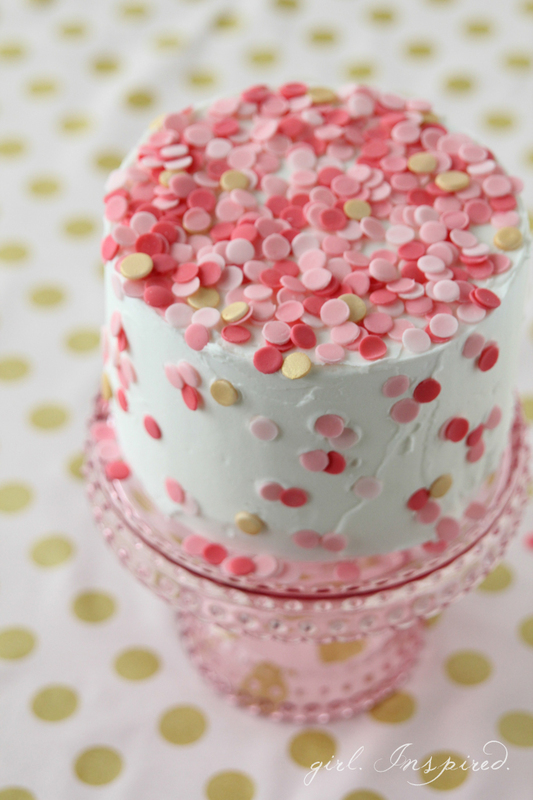 Use Tip 2A or the Mini Cutout tool to “punch” as many dots as you can in the fondant. Peel away the excess fondant and set aside. Move the “sprinkles” over to a piece of parchment paper to dry. 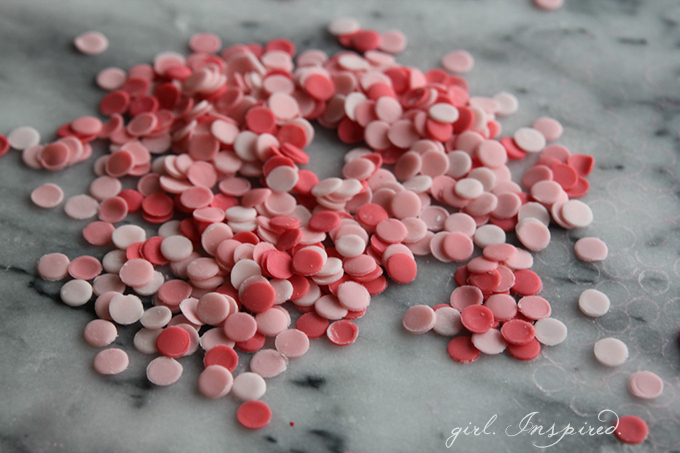 Using your leftover fondant (and adding more as needed), add additional food coloring to create a slightly darker shade of pink and repeat the above steps to make the next set of sprinkles. Continue until you have at least three shades of sprinkles and enough to cover your intended cake or cupcakes. Here is a closer look at the “Fondant Mini Cutout” tool. It has a little spring in it so that you can eject the punch out if it gets stuck inside – pretty nifty! Here’s a look at the pile of fondant sprinkles when they were all tossed together. I love the mixture of shades, but I wanted a little contrast color, so…. 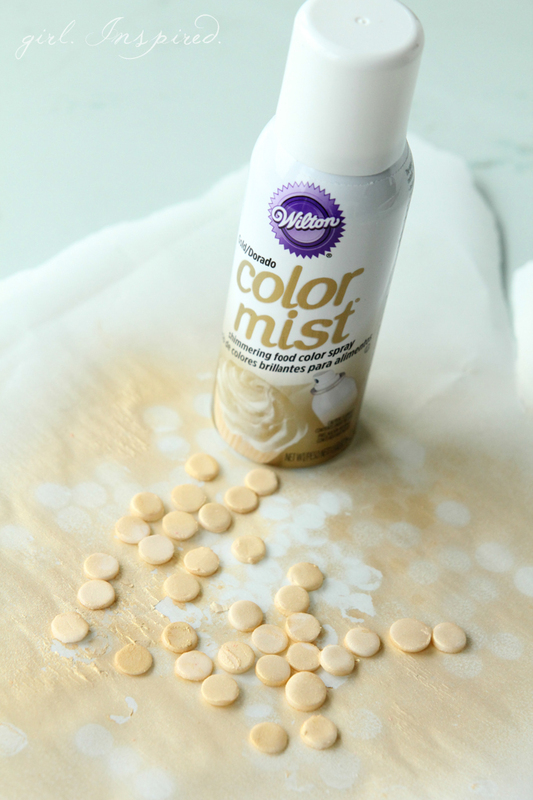 I used this gold metallic Color Mist food spray to make a few gold sprinkles to add to the bunch! When you’re ready to decorate your cake, just frost a smooth layer of icing over the entire thing. Grab your sprinkles and toss them on! Be sure that you add the sprinkles right away so that the icing is sticky enough to catch them. You can toss a few at the sides, too, or place them strategically how you wish. These would be so darling sprinkled on cupcakes, too – instant confetti!